Nothing’s worse than being unprepared when you’re faced with a power outage. Sure you need stock up on batteries, candles, non-perishable foods like canned goods, jerky, hot sauce 😉 and water, you know, the essentials. However, there’s so much more you can do to prepare for a potential power outage! Here are a few tips for you, just in case you’re faced with this small inconvenience, yes small because once you have a roof over your head and are clear of any dangers such as flooding or extreme temperatures, a little power outage is no biggie! 1. Stock pickled chilies and hot sauce! These add a burst of flavor to an otherwise boring meal and if it’s cold out they’ll add a nice warming effect. If it’s warm out, chile peppers can make you sweat and cool your body temperature well. 2. Freeze a case or more of water bottles if you know a storm is coming. Pack your freezer tightly with the extra frozen bottles so your meats stay frozen longer. I did this and my meat didn’t start defrosting until the 4th day. Other containers work well too. 3. Get an extra car battery and a special “drop light” for that battery so you can have lights! My brother, who has survived countless hurricanes and severe weather in Florida, gave me this tip. In his early mechanic days he used this set up when working on cars. You’ll have light for weeks at a time and it’s safe to store it in your house! 4. Get solar lights! Keep them outside during the day and scatter them throughout the house in the evening! They’ll provide light for up to 10 hours. 5. Stock up on booze, specifically warming spirits like cognac, dark rum or my favorite, B&B. The latter is a blend of cognac and benedictine for a spiced, oak-flavored, sweet spirit that delivers a nice heat after sipping. Try this warm cocktail for those dark, chilly nights. In a small pot heat up the cider with cinnamon stick until warm, do not let it boil. If you don’t have a gas stove have it room temperature, it’s still good. 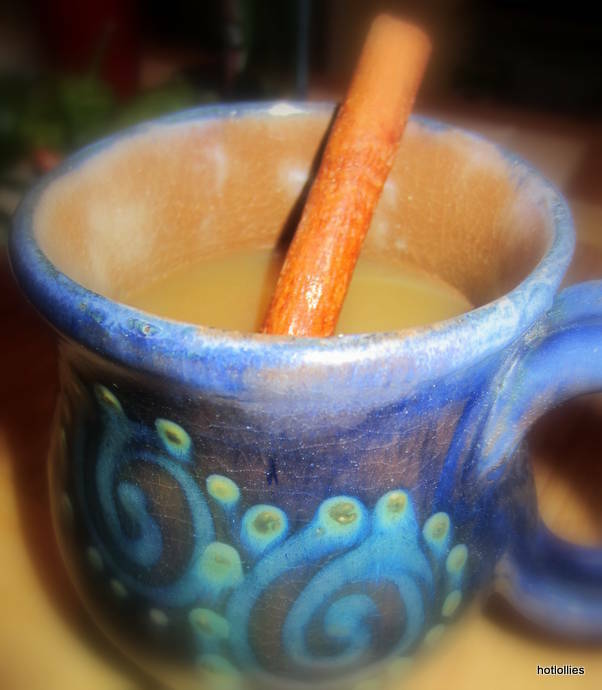 Pour into a mug, add B&B and stir with cinnamon stick. Leave cinnamon stick in for extra flavor. Finish with a dash of nutmeg.